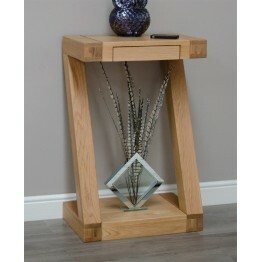 A funky looking small console table with a difference that carries the Z motif on the external legs. 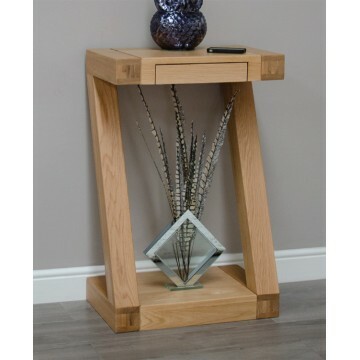 A lovely piece of furniture for the home that can be used in the hallway, lounge or indeed anywhere around the home, especially with the handle slimline drawer. The Z Designer collection is constructed with Oak solids and selected high quality Oak veneers and has a highly durable clear lacquer finish that lets the beauty of the grain and character of the oak show through.